Untitled Park Film is a cinematic portrait of Prospect Park in Brooklyn, New York. Gorgeously photographed and meditative, the film seeks to capture the many reasons why public parks and equal access to nature are vital to society, an exploration of the interconnectedness of humans and nature. A nature film about human nature. Featuring an ensemble of characters who have unique and deeply personal connections to the park, including four individuals responsible for the park’s ecological management, the film will be an intimate character driven story that takes place over one hot and humid summer in Brooklyn. The film is currently in progress. The Park Film is directed by Irene Kim Chin and Kurt Vincent, filmmakers based in Brooklyn, New York. They write, direct, and edit together. Their most recent nonfiction project, Friends Of Wonder (2018), is about musicians Kurt Vile and Courtney Barnett, told against the backdrop of a community-run cinema. It’s a story about creativity, collaboration, and historical preservation, interspersed with live footage of Kurt and Courtney’s concert at the historic Jersey City Loew’s movie palace. Kurt and Irene’s debut feature doc, The Lost Arcade (2015), explores the diverse community at NYC’s last old school video arcade. The film premiered at DOC NYC, and the International Film Festival Rotterdam, receiving critical acclaim from The New York Times (“wholly enjoyable”), and The New Yorker (“raw and intimate”). Laura Coxson is a NYC-based documentary producer. She most recently produced Chef Flynn (Sundance 2018) and The Proposal (Tribeca Film Festival 2018). Iris (2015), a film she produced, directed by Albert Maysles, was released by Magnolia Pictures and grossed almost $2 million theatrically. Coxson produced Paul McCartney's The Love We Make (2012) for Showtime. 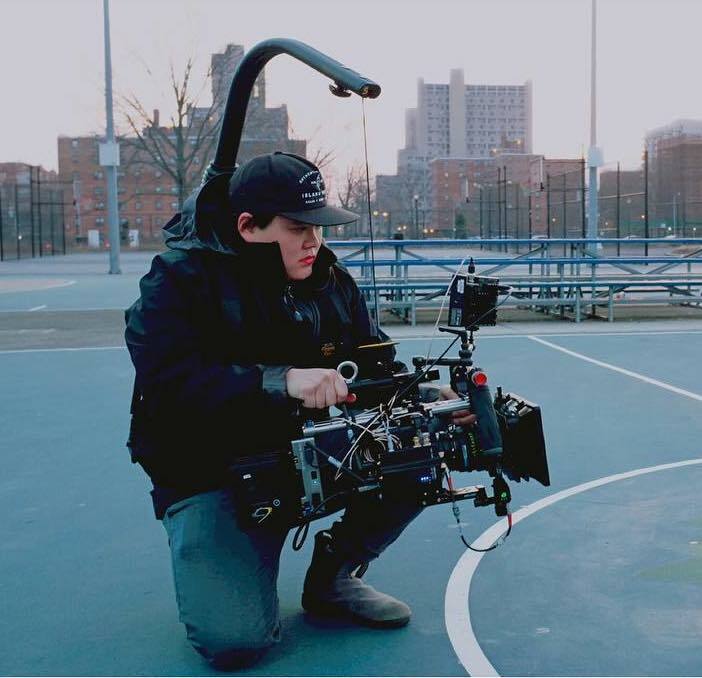 Christine Ng is a NYC-based cinematographer working in commercials, music videos, documentaries and narratives. Most recently she was cinematographer for the feature documentary Flin Flon: A Hockey Town (2017), and worked alongside cinematographer Bradford Young as camera operator for Central Park Five, the upcoming Ava Duvernay Netflix Series. She also photographed the Emmy nominated Nora Ephron documentary Everything is Copy (2015) on HBO. In 2017, Christine was cinematographer for Kurt and Irene’s documentary Friends Of Wonder. Sign up to receive updates on our progress as we make the movie! We respect your privacy and will not share your contact.